Amidst the cacophony of uncontrollable sobs, wails and tear stricken faces, she lay there peacefully, lifeless and listless, shrouded in layers upon layers of pale white cloth, oblivious to the void she had left us with. An unfathomable sight for me, for I had spent my entire childhood admiring the grace and modesty with which my grandmother, Asiya Khanum, carried her colourful banarsi saris, those elaborately designed and intricately embellished pallus, the effortless ease with which she went about her daily chores even with six yards of fabric wrapped around her petite waist. 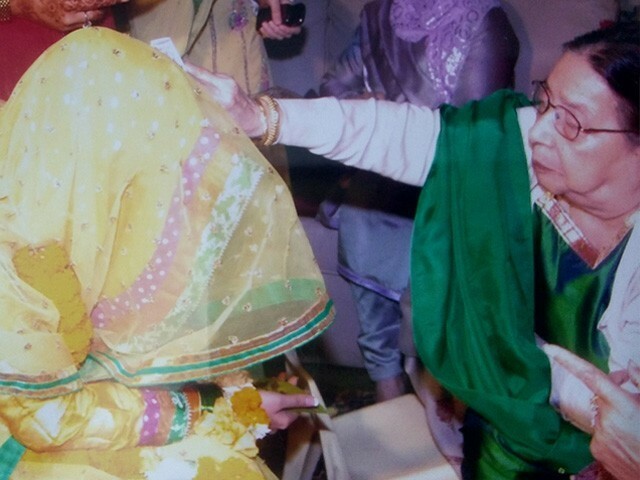 I can’t recall anyone being on their toes, wearing saris and bangles around the house, and that too as gracefully as dadi jaan. “But beta, that is a norm for women back in India,” she would casually reply when my friends asked her how she managed to make it look so easy. Exquisite silks, fancy chiffons, beautiful lacework, stone-studded saris, and even the simpler printed cotton ones, her closets were a treasure trove for sari lovers. When I got married, she gifted me some of her favourite Indian saris for my bridal trousseau. Oh! How can I forget the look of absolute delight on her face when she first saw me flaunting her sari. Once, I made the blunder of getting a dress stitched out of one of the saris she gifted to me. It was met with utter disapproval, so much so that I felt like I had committed the ultimate crime. There is something so magical about nostalgia. It makes you recall each and every vivid detail of your past like it all just happened yesterday. I was fortunate to have grown up under the cozy shelter of dada jaan’s affection and dadi jaan’s unconditional love. Summer holidays would be incomplete without the aroma of freshly prepared meethi tikiyan, dadi jaan’s speciality and a hot favourite of the children of the house. She would knit sweaters for us in winters and sometimes even try to teach us knitting. As I reminisce, my earliest memories are of her perched daintily on her armchair, fingers deftly engrossed in sewing work. Her antique paandaan (box of betel leaf) fascinated us kids so much. Sometimes, my siblings, cousins and I would try to kill our boredom by experimenting with the condiments inside the paandaan in an effort to make a palatable paan (betel leaf); even the betel nut cutter was used as a toy in her absence. We would huddle around her and listen keenly as she munched on her paan and narrated tales from pre-Partition days. Unlike today, tea times were a must in those days. Black chickpeas, apples and papad (papadum) were tea time staples along with piping hot tea poured from a teapot covered with a neatly embroidered tea cosy. How come we don’t use tea cosies and teapots anymore? To add to the ambiance, dada jaan would pluck fresh sunflowers and bougainvillea and arrange them in a vase every day. I think I inherited my love for flowers from him. We would rush indoors after playing for hours in the backyard, and dadi jaan would always wait with our platter of multi-coloured circular papad, which we would ring around our fingers before gobbling them up with relish. Being the introvert I am, I often feel lost in crowds. Growing up in a full house like ours, I would prefer to find a nice, quiet corner and curl up with a good book or my sketching pad. But dadi jaan would always ensure that I spend time with her. After coming back from college, she would ask me to read her the newspaper. Tired as I would be after a long day of study, I would doze off without even completing one article and the kind soul that she was, she would let me rest. Days flew by and turned into months, and months into years. Motherhood, managing home and work, life became busier than ever and meetings with dadi jaan became less frequent. She would always call me over and longed to meet my kids, always ready to shower them with endless love and prayers. She left us at the age of 91 and will be sorely missed. 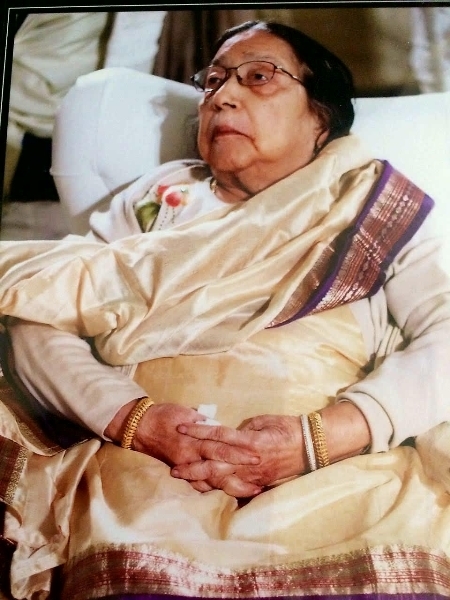 Rest in peace, dadi jaan, we miss you immensely. The author teaches at CAS School. Formerly, she was Managing Editor at Expert Parenting & Pregnancy Magazine and a sub-editor at MAG. She was named amongst the 100 Working Pakistani women for Pond's Miracle Women Award 2014-2015. You reminded me of my childhood when evening tea was a regular feature and brought everyone in the family together. My Dadi herself was fond of bangles. I had to take off her bangles when she was admitted to hospital few days before she left us. I miss how she narrated anecdotes of the partition days and left us in awe. Loved reading that. I say this because I’m a dada and a nana and a person who still likes the afternoon tea to be brewed in a tea pot covered with a tea cozy and can relate to the sentiments expressed by you.